When I set out across North America this summer, for a 3 ½ month climbing-photoshoot-road-trip, I knew I would need more than your standard low cut “approach shoe”. 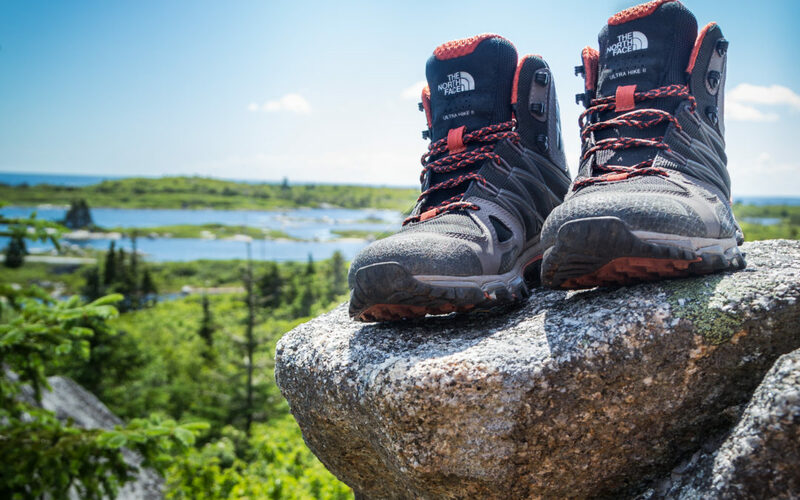 I was stoked to be able to give the North Face Ultra Hike II Mid GTX a run for its money – thanks to the North Face, and LiveOutThere.com. Straight out of the box I was looking at an ultra-light, mid cut, waterproof hiker. A reinforced toe cap, studded sole, and cable-supported mid-section. During our prep for our Christmas 2015 summit of Mt. Kilimanjaro, we were instructed to wear our trekking boots on the plane, as foot-ware – we were told – is one of the most commonly stolen items during travel in many countries. In a situation like this, you likely don’t have time to break in new boots. It’s grab-n-go, or bust. I was shocked at the weight of these boots. At 432g (15.2oz) per shoe, they weigh in just 100g heavier than my typical, low cut, none-waterproof, crag/approach shoe. This is huge for me. We all like to cut weight where we can, but it’s not as common for many people to think about the weight of their boots, and the impacts and fatigue that feet and legs can endure with long hauls and full days on your feet. 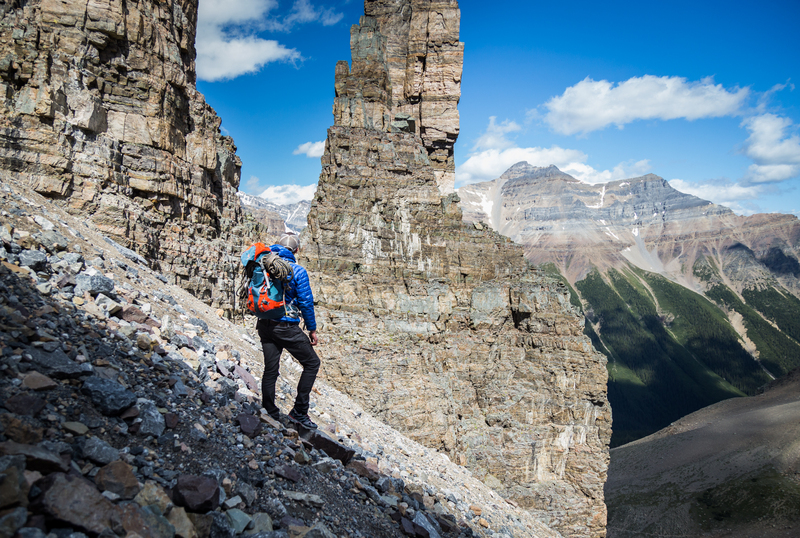 Whether you’re packing into an over-night in the Alberta backcountry, or a full day shoot in the Colorado Flatirons, this weight matters. I spent many days in the field, scouting boulders, and shooting – both on foot, and rigged in on high ropes – sometimes for shooting days over 12 hours long. The mid cut added extra ankle support that you take for granted when you’d otherwise be rolling ankles and feeling the stress of the day. And the light weight, minimalist feel allowed me to focus on the task at hand while roped in, not thinking about fatigue or bulky feet. They proved themselves yet again in Norther Ontario, during scouting days through the Blueberry Boulders, north of Ignace. With tree tops reaching just over the boulder height, scouting often meant taking a high vantage point – And I can tell you, most of my hikers cannot scramble this kind granite slab, wet or dry. Wet seemed to be a common theme throughout the trip, and you can only take so many rest or “office” days because of rain – Gore-Tex to the rescue here. I can safely say these boots both met, and exceeded my expectations after only a few uses. 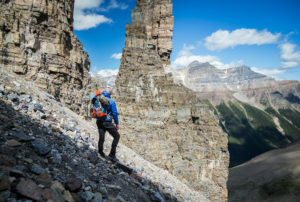 But where they served me best, were on two recent projects in Banff National Park – shooting the multi pitch classic, Cardia Arete, 10d, in the backcoutry near Lake Louise – and Valhalla Provincial Park – where I trekked into the base of Mt. 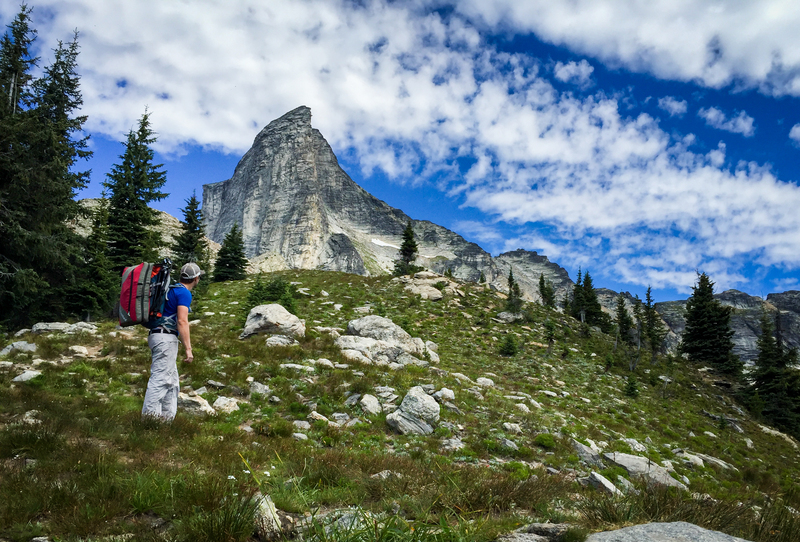 Gimli to explore the alpine boulder potential held in the area. With 2 and 3 hour approach’s over steep switchbacks, meadows, boulders and into temperamental scree slopes, these boots were crucial. The approach and return alone earned these boots a gold star, but it was the ability I had to spend my entire day moving from choss pile, to slope side and back, and across endless loose boulder fields, comfortably and securely in some pretty unstable conditions, that really made me appreciate just what these have to offer. I’m quite excited to see how they stack up with upcoming projects and adventures. They have served me well on back to back long days in the field – On tricky terrain, against abusive weather and conditions, and with constantly changing weight loads. 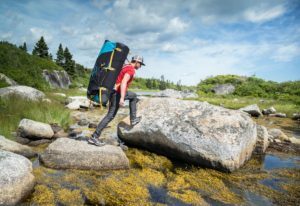 They’ll be a main contender for my next trek into the Alaskan backcountry, and a staple, without question, in my active lineup. If you are looking to try out a rugged, ultra-light, versatile boot, you NEED to try this one. – Ultra light-weight, without compromising ankle support or comfort. – Maintains a rugged, abuse-resistant outer. – One of the most comfortable boots straight out of the box that I have tried.